With an April storm, snow accumulation is dependent on how heavily it falls. 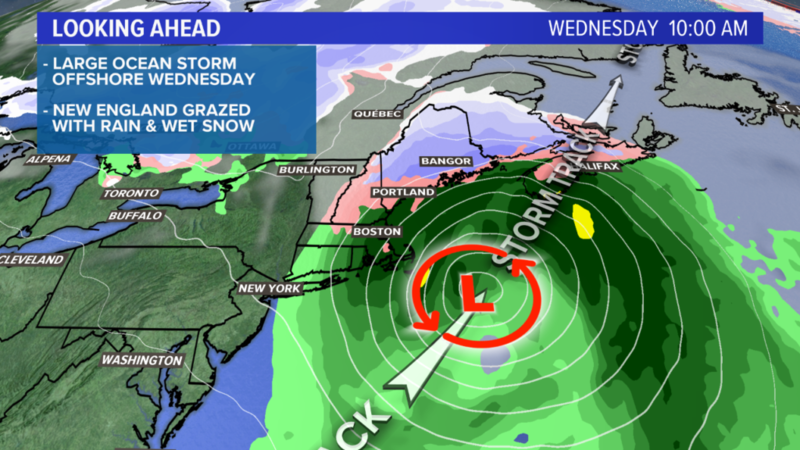 This is no April Fools’ Day joke: A large ocean storm will sideswipe Maine with snow and some rain on Wednesday. The storm has been on the map for a week now, but the track has changed. It’s going to be large, so just a slight shift in its projected track is bringing precipitation into play for us, even though the bulk of it will stay offshore. 1) It’s a quick hit, centered around Wednesday morning and midday. 2) In April, snow accumulation is dependent on how heavily it falls. Lightly falling snow will not accumulate much at all, but in heavier bands, wet, pasty snow will cling to the trees and quickly coat the ground. 3) The details aren’t locked in yet. Check back Tuesday for updates. 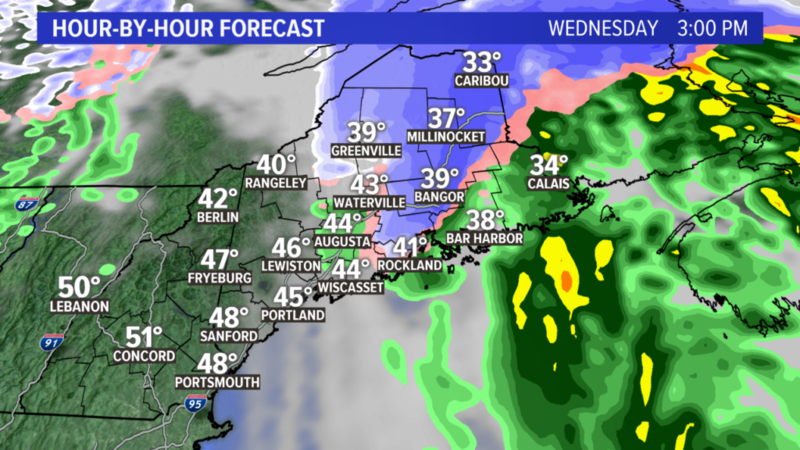 Snow and rain move in Wednesday morning. As I said, when the precipitation rate is heavier, expect snow to fall and accumulate, and when it’s lighter, it will taper down to a mix or wet flakes. 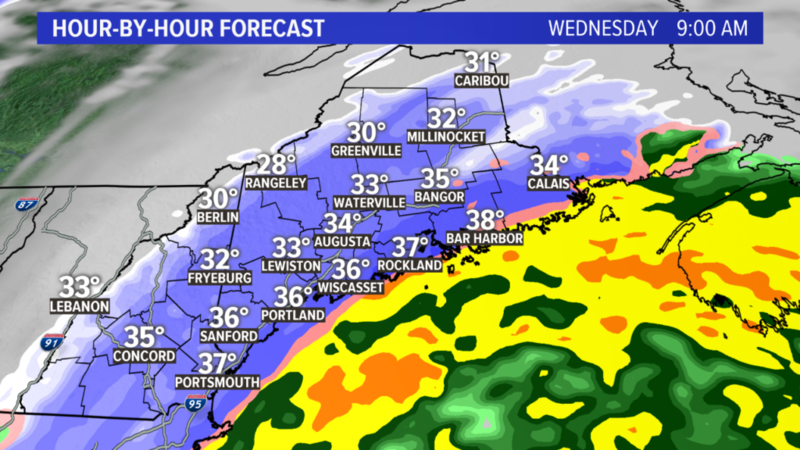 By Wednesday afternoon, the storm will be racing out of western Maine. Sun will poke through and we can even expect a late-day temperature surge into the upper 40s and low 50s, melting a lot of the snow. It’ll take until early evening for everything to clear out of eastern Maine. Here’s a first shot at snow totals from fellow meteorologist Keith Carson and me. 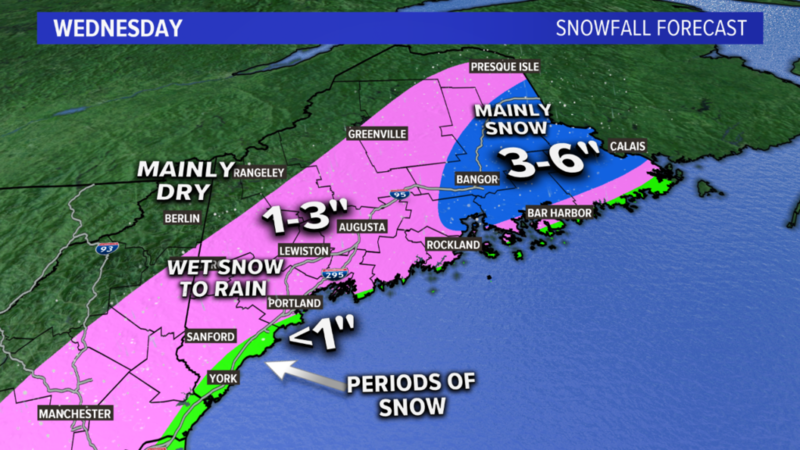 Eastern Maine will likely see the most, with 3 to 6 inches of wet, heavy snow. The rest of the state can plan on 1 to 3 inches, with perhaps a bit less along the coast where rain can mix in more easily. I’d check back on Tuesday for updates because this forecast is not locked in.